Your dog's mind is simpler than you think. First things first: Rest assured, I am not affiliated with any of the products mentioned here. In some cases, I wish I was! Fortune magazine reports that the American Pet Product Association expects pet people to have spent 62.75 BILLION dollars in 2016. I don’t know about you, but that number makes me a little lightheaded. and a couple of ideas for ‘upcycling’ things you probably already have around the house. There are so many pet products that are marketed for convenience, and even safety, that are simply neither convenient nor safe! For instance, Nylabone products are just what they say on the label, made from nylon/plastic. Pick up a chewed Nylabone some time and run your finger over the damaged bits. They are incredibly sharp, and when ingested, can cause internal lacerations and impactions. Tiny bristles, that clean teeth, huh? Shrapnel is more like it. I have personally seen cases of Nylabone splinters causing bleeding gums and I’ve heard of one case where splinters perforated the dog’s tongue and caused a serious infection. It’s just not worth it! Chew toys like rawhide, in fun holiday shapes, are super popular for stocking stuffers. But, beware of the myth that rawhide is safe or nutritious. It is a highly processed product, treated with toxic chemicals. It is notorious for causing bowel impaction, choking and vomiting. Wet, chewed up rawhide is a bacteria bomb waiting to go off in your dog’s gut. Pigs ears are cheap and plentiful, but their extremely high fat content can cause pancreatitis and diarrhea. Tennis balls are understandably fun for a dog; they bounce the best! On the other paw, have you ever sniffed the inside of a tennis ball? Toxic! Even worse than rawhide, tennis balls are chemical bombs…from the products used to dye them and the fiberglass-like coating that wears down your dog’s teeth, to the interior structure. Ask any vet and they will tell you sad…and terribly expensive…stories about the surgeries required to remove pieces of tennis ball from their patients’ bellies. 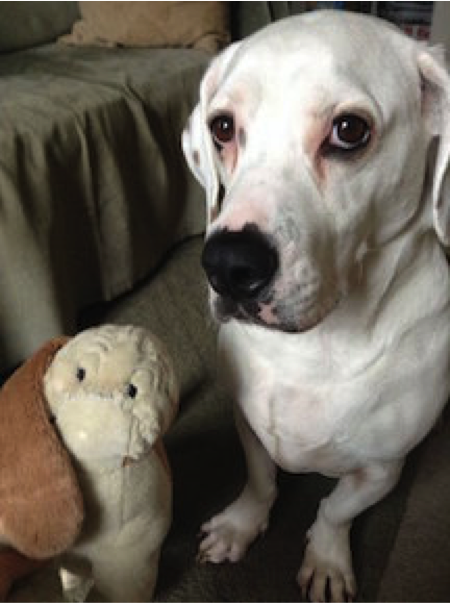 Stuffed toys fit into both the DO and DO NOT buy categories, depending on your dog’s personality and your lifestyle. If picking up fluff bothers you, or you look at toy destruction as a waste of money, they aren’t for you. And, like the chews above, if your dog actually swallows parts of the toy, medical problems can ensue. If your dog loves the destruction, stuffed toys can distract that energy away from couch cushions. If you supervise the mayhem (which you always should) you can rescue toys for ‘upcycling’ before it’s too late. More on that below. Next time, I’ll talk a bit about those interactive, treat dispensing cameras that are all the rage right now, and about webcams. If you are planning to buy one of the treat dispensers, and can hold off, check in with Pet-wise for some money saving tips next week. For every bad option, there are many better options. Here are some that I can sincerely recommend. My very favorite pet products come from Planet Dog. Their toys are widely available, made from pet-safe materials, and are easy to clean. Their design process really is smart! Many toys fit into other toys to promote intellectual stimulus and extended distraction. Extra added bonuses include the minty-fresh scent of every Planet Dog product, their chew-meter their resource guide for finding the right toy for each dog’s chewing style. I also love that they give a significant amount of support to pet charities. Their cute holiday themed toys make gift giving even more fun. Ethical Pets is dedicated to sustainability and their extensive offerings include everything from toys, to beds, accessories and holiday specials. The Petsafe Squirrel Dude is adorable, durable and comes in 4 sizes. And, it is dishwasher safe! Some folks like them better than traditional Kong stuffing toys because they have a ‘treat meter’ (which consists of internal prongs) that keep kibble and small treats from falling straight out, which makes the play session last longer. Be aware though, that some dogs find this frustrating and may give up before getting the goodies. I prefer Petsafe toys because they do not have the strong rubber smell of the Kong. West Paw toys earn consistently high reviews and are super tough. Many of them connect to other toys even more effectively than Planet Dog products and most are highly interactive, for greater stimulation. Bully sticks might not seem like a toy, but I make them more fun by tightly wrapping them up in Cagney’s fleece ‘blanket’ (Really, it is just a piece of fabric I found in the remnant bin at JoAnn’s) and tossing the bundle around. It satisfies his love of digging and ‘hunting.’ PS: That piece of fabric also serves as a hide-and-seek game and ‘nesting’ material in his doggy bed. Other ‘eatable’ treats such as antlers, dehydrated sweet potato, and Himalayan chews, (mentioned in a previous post) are nice gifts when you know they will be safe for the recipient. Some cats and dogs have the same types of food allergies we do! I am a huge fan of upcycling and reusing things in general, and the best part of being a dog is that everything is new to them! But, to be honest, the more used the better! My second dog still uses some of his predecessor’s stuff and both of them tend to love the shreds of a toy better than the new deal! To illustrate how easy it is to make a toy, made this treat dispenser in less than 3 minutes for this article! Click on the picture to see a short video of Cagney loving his new (free!) toy. Where stuffies are concerned, a needle and thread are all you need! This toy may have lost his snout and an ear, but Cagney still loves him. We’ll talk more next week about higher-end and more unusual gifts. In the meanwhile, good luck with your planning! Have you ever noticed how much the dog treat aisle at the pet or grocery store looks a whole lot like the cereal aisle? Sadly, given the ingredients in the most popular treats, the two products are much too similar. Honestly, it might be healthier for a dog to eat the bag. The Beggin’ Strips, (made in China) contain virtually nothing of nutritional value to your dog. In fact, most of the ingredients are not readily metabolized and some are even considered carcinogenic. The grains are going to end up on the sidewalk, if you know what I mean, and the processed sugars can end up in fatty deposits. On the other hand, Red Barn products are made in the USA and generally contain one protein-based ingredient. In this case dehydrated beef lung. Before you fall for the argument that quality ingredients cost too much, let’s do the math. Believe it or not, these two products cost almost exactly the same! The Choppers cost only two cents more per ounce. Pet nutritionists and commentators like Rodney Habib, will tell you that the money you put in your pet’s bowl now will be money you save in the vet’s office later! If you’d have even more maintain control over what your dog eats, you can easily make nutritious and cost effective treats at home. With a simple dehydrator, you can create natural, healthy chew treats for pennies with sweet potatoes, apples, carrots and pretty much any dense vegetable that can be dried. 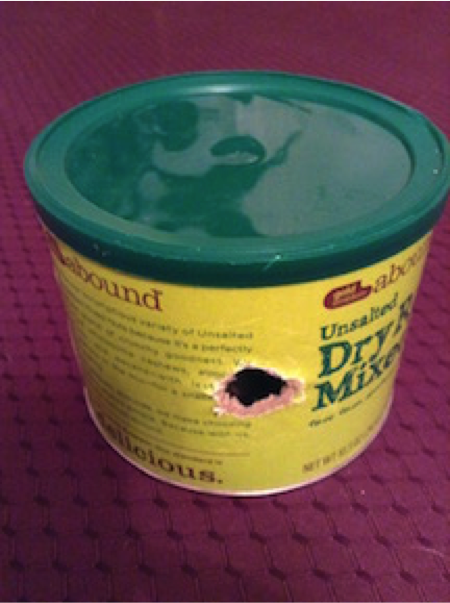 This is a much, much better option than rawhide. Generic beef rawhide is good for chewing, but is not healthy. It becomes a moisture-based bacteria farm, poses a choking hazard and the hide itself is highly chemically processed. Keep in mind that cat nutrition requires much more protein density than for canines. You can find some great suggestions for homemade cat food and treats at the Feline Nutrition Foundation. Frozen fruits and veggies like Costco’s “Normandy” variety also offer low cost treat options…especially during these hot summer months. Many dogs love ice cubes, but frozen vegetables offer the same coolness, but with an added nutritional bonus. We will talk more about the value of healthy treats for training in another post, but for now, keep in mind that while your dog does not need to eat as well as you do, the higher quality ingredients you feed, healthier your pet will be. Comments Off on tasty treat or EEEK? But isn’t it funny how we seem to habitually focus on trying to fix problems, rather than celebrating when things actually do go well? It’s generally the same with our pets. I’ll bet your dog or cat (and especially bird friends!) do not automatically ‘straighten up’ when you point out their character flaws. As a behaviorist, my strongest held belief is that there is never anger in leadership. When you focus on fostering the behaviors you actually want, the entire training process becomes more enjoyable for everyone. Let’s look at how this applies to the issues nearly every pet person deals with at one time or another. If these are the things you don’t want, ask yourself, what is the opposite of that? 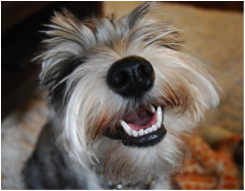 If you want to see some truly happy pets, check out the client gallery at Saving Grace Petcare. No day is complete without cute pet pics, right? So, how do you flip the switch from ARGH! To Ahh? If the struggle isn’t working, then a change of perspective is the only option. I suggest to my life-coaching clients to habitually use the phrase, “Up until now.” If Grover hasn’t understood what you want from him so far, then it’s imperative that you get some hope. Borrow some of mine! The fact that the dogs rescued from Michael Vick’s dog fighting ring were able to become happy, family dogs should be evidence of nearly any dog’s potential for change. If he has pulled like a truck ‘up until now’ it is still possible that he can learn what you really want. Every creature has its own personality and preferences. Thinking that all creatures are the same and should be dealt with just like in the old days is an error. By extension, the tools that worked for your previous pets might not necessarily work for your current cutie. Isn’t it true that you tend to do more of what you like and less of what you don’t? Dogs and cats are even less inclined to struggle with behaviors they don’t like. They have no social reason to comply. Find a training routine that brings a smile to your face. If you can’t imagine that such a thing exists, drop me a line. I can help. Swatting, squirting with a spray bottle, yanking, etc. just makes your dog afraid of your hands. What could go wrong? Everything. Think to yourself, “How do I want this to feel?” Then find the straightest path between struggle and satisfaction! 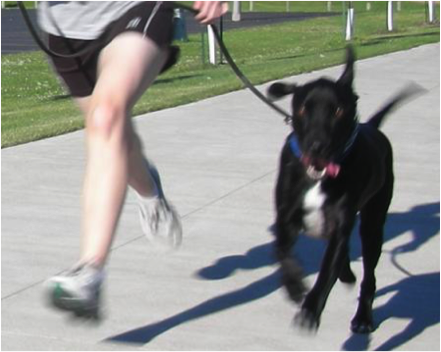 Here is a really interesting rule of thumb for running with your dog, shared by Dr. Justine Lee, DVM. If the temperature + the humidity percentage adds up to more than 150, Don’t Do It! For example, as I write this, it’s 84° with 71% humidity…at midnight. 84 + 71 = 155. Dr. Lee says that means running right now is a bad idea. I agree! Overheating is a huge issue, (see more below) but it is just one thing to keep in mind when considering running in the city. Small dogs, giant breed dogs, puppies, older dogs, smooshed-nose dogs and pups with health considerations are not good jogging partners. Some dogs, like my American Bulldog/Basset Hound mix, are just not temperamentally suited to strenuous exercise. Now, some people might call that lazy, but running simply for the sake of it may not be a good idea. That may seem a bit extreme, but Dr. Gallagher has a point. Pounding on hard surfaces can take a terrible toll on your dog. Puppies are especially at risk for skeletal damage that can cause pain for the rest of their lives, but joint and hip problems can wreak havoc on canines of all ages. Just think how you feel after super strenuous exercise. The kind of muscle strain and joint soreness humans feel effects dogs in the same way. In the same way that the sidewalk can help file a dog’s nails down, the abrasive nature of concrete and asphalt, can wear down or tear paw pads, causing bleeding, calluses, and infections. Contrary to what most people think, those rough pads are not the same as shoe leather! To avoid these issues, run on grassy areas and dirt paths as much as possible. The extra added bonus here is that you will likely be more in shade than otherwise. The National Mall is a lovely, shaded pedestrian area, but be mindful that the gravel on those paths can get stuck between toes, which can be very painful, and it can break nails and cause ankle instability. After our run, make sure your dog does not gulp too much water or food to avoid gagging and a very dangerous condition called bloat. For our furry friends, the discomforts and dangers of summer weather include the heat, the humidity, direct sun, the air pressure, the asphalt, the sidewalks, hot metal, pests, parasites and pretty much everything associated with what we consider fun in the sun. Saving Grace Petcare, does not run with your dog, but we can provide exercise that is safe and comfortable…with the all-important socialization of pack walks. Contact us for availability. In meanwhile, tell us in the comments below, about your favorite ways to keep cool with your dog and about your favorite trails and safe places to walk and run. Until next week, take care of yourselves…and of your pets! As I sit next to my happy, confident, relaxed puppy taking a luxurious nap in her crate (which she voluntarily entered, by the way! ), I am filled to the brim with thankfulness to Bonny King-Taylor, The Doggy Lama. After only having my puppy for a week, I was nearly ready to call the rescue right back up and tearfully admit that I just couldn’t cut it as a dog mom, and certainly not a dog trainer. Enter Bonny, who went out of her way to travel to my home on a weekend to meet with me, my husband, and Kira for hours. Bonny is the type of person that makes you feel like you’ve made a friend immediately. She listened to us – and I mean really listened! She met us where we were and helped us build our knowledge and confidence from there. And that’s the thing – our visit with Bonny was much more about us than it was Kira! Bonny helped us recognize where our anxiety lay and how it was influencing our relationship with our dog, and those realizations helped us begin to create a dynamic that is respectful, clear, calm, loving, and joyful with our dog. Bonny also has an immense amount of knowledge about the nuts and bolts of the dog world and was able to make excellent recommendations for us – breeds, food, toys, leashes, crates, etc. We cannot recommend Bonny highly enough to anyone looking to improve their relationship with their dog. Spring is blooming all over and it’s the perfect time to help our fur friends to get in shape. According to a recent study published in the Wall Street Journal, one-fifth of dogs and cats are classified ‘obese’, while more than 30 per cent are above normal weight. This epidemic is causing record-breaking cases of pet arthritis, cancers, diabetes and kidney failure. No one wants to think of their pooch as pudgy, or their cat as fat, but the good news is that this condition is 100% within our control. Increase walks in the beautiful weather while listening to a catchy tune that will keep you moving. Both of your hearts will appreciate it! Portion control is everything. Feed the amount appropriate for your pet’s perfect weight…not their current weight. Your vet can help you determine the right poundage to help protect joints and organs. Space is limited, so grab your registration now. All participating dogs must be on leash and in reasonable control to walk with us. If your dog is aggressive towards other dogs, or is very reactive to anything on the street, please sign up for an individual Walk and Talk session. Comments Off on Wonderful Walks! I spoke to one of Sassafras’ people yesterday about DC Lost Pet Alert wanting to know the most important things anyone hoping to help in a search should know. What struck me the most is that the one thing a good-hearted person would want to do to help is the very last thing they should do. When my friend said, “Tell people to take a picture right away, preferably one with a time stamp. Collect as much information as you can about where you are. Do NOT chase the dog!” it made perfect sense in a way I had not thought of before. By trying to be a helping hero, rather than collecting information, you could actually make things worse for the dog. Read more about why it is such a bad idea, after the jump. Just recently, I witnessed a well-meaning dog person pinning his puppy to the ground, his hand around her neck. He used an alpha roll in an effort to teach his dog to not jump on other dogs in the park. The puppy screamed so loudly and for so long, that I broke off a conversation I was having with a client, and sprinted across the park. I was expecting to have to do first aid on an injured animal. Instead, I found this man, holding his four month old down, looking at her with thunder in his eyes. Can you see the error in his logic? leave them in the litter! For years, I’ve been advocating that people leave puppies with their litter mates for at least sixty days and, preferably eighty to ninety. Doing so gives the puppies the chance to learn natural bite inhibition from their razor toothed mates in a way that human intervention simply can’t. This leads to a soft mouth later in life and much less danger of aggressive biting. A new study in the British Veterinary Associations Veterinary Record supports this theory and suggests many other behavior problems can be avoided by leaving puppies in the litter for at least 60 days. 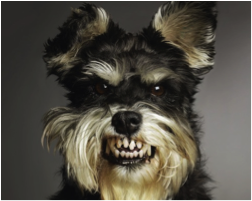 The study of 140 dogs between the ages of eighteen months and seven years suggested that dogs taken from their litter between thirty and forty days exhibited destructiveness, aggression, nuisance barking, food and toy defending, neediness, play biting, and resistance on the walk. The behavior that surprised me, but which makes sense upon reflection, is noise reactivity. Any puppy left with their shrieking, attention-seeking litter mates is bound to be better able to adjust to loud sounds later in life. Each of the problem behaviors identified in Dr. Federica Pirrone‘s research can be managed with positive reinforcement, desensitization and distraction techniques at any age. But wouldn’t it be great if that weren’t necessary? The bottom line: Do not despair, or give up, if your dog lacks litter education. Above all, avoid buying puppies from pet shops/puppy mills and breeding farms that sell puppies too early in their development.